Nearly 1 in 5 elderly cancer patients struggle with out-of-pocket health care costs, according to a recent report from researchers at Wilmot Cancer Institute at the University of Rochester Medical Center. Have you ever put off buying medications because of the cost? Have you ever run out of money for food and housing? Have you ever run out of money for other basic needs? Asking these questions is a simple way to identify cancer patients at risk of financial toxicity. Doctors are paying more attention to this treatment side effect now, because as the financial burden of cancer treatment gets worse for an individual, treatment outcomes and quality of life get worse as well. When you are diagnosed with cancer, you must take proactive steps to avoid financial toxicity. This is even more important with a rare, aggressive cancer such as mesothelioma. To protect yourself and your family, you need effective financial planning. How much will you have to pay for cancer treatment? It’s a very complicated question to answer, especially in the U.S. health care system. So much depends on each individual’s insurance coverage and treatment plan. Plus, the cost of health care keeps increasing year after year. 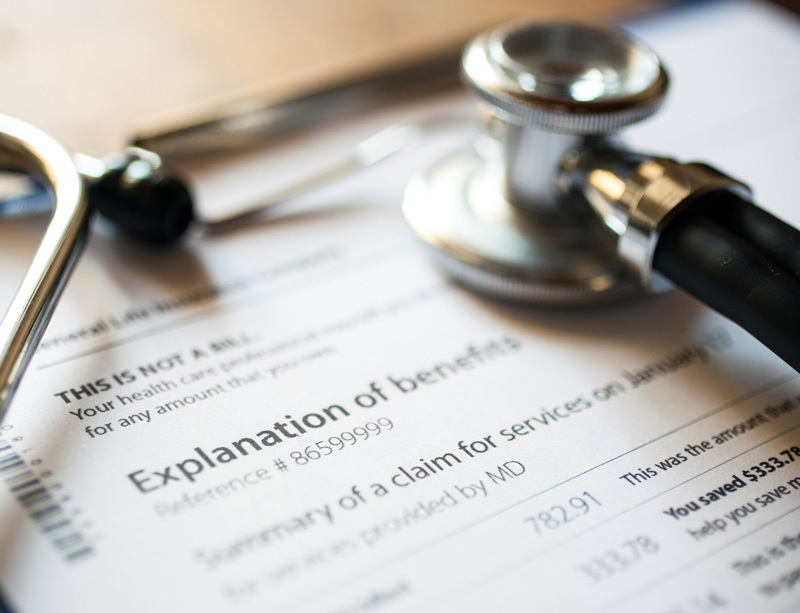 Research on health care spending can give you some estimates to start. Then you have to factor in several other considerations for patients undergoing mesothelioma treatment. The most common subtype of this disease is pleural mesothelioma, which is treated similarly to lung cancer. A 2017 Milliman Research Report found the average out-of-pocket cost for lung cancer was almost $3,000 in the first month after diagnosis. After three years, the total came to more than $9,000. The research report focused on patients with employer-sponsored health insurance who were diagnosed in the year 2011. The out-of-pocket costs were a small fraction of the total costs for lung cancer treatment. Average total spending was more than $37,000 in the first month and more than $248,000 after three years. Health insurance covered the vast majority of the costs. Out-of-pocket costs varied widely between individual lung cancer patients. At the high end, almost 20 percent of patients paid more than $5,000 out of pocket in their first year of treatment alone. There are two things to keep in mind with this research: First, cancer treatment has become more expensive since 2011. Second, mesothelioma often develops in senior citizens who do not have employer-sponsored health insurance. A 2017 JAMA Oncology study reported average out-of-pocket spending for cancer patients on Medicare. Depending on whether they had supplemental insurance, average annual costs ranged from $2,116 to $8,115. These numbers are based on a survey conducted between 2002 and 2012. Cancer treatment has become more expensive since. Also note this study focused on all types of cancer. Mesothelioma can be more expensive to treat than more common diseases, so be cautious not to underestimate it. Mesothelioma treatment often comes with costs that go above and beyond typical medical bills. But patients with this rare disease may also have unique financial resources to help with these expenses. Very few doctors are familiar with asbestos-related diseases, and effective treatment requires special training and experience. Patients with mesothelioma may have to see specialists outside their health insurance network. This could lead to extra out-of-pocket costs. Transportation to a specialized cancer treatment center is another expense. Many patients travel to another city or even another state to receive high-quality mesothelioma treatment. The costs of travel and lodging can quickly add up. There may also be a loss of income to worry about if a patient or caregiver cannot work anymore. Mesothelioma is a devastating and costly illness. But the most tragic part is it is almost entirely preventable. Most cases of asbestos-related cancer trace back to negligent employers and suppliers who knowingly exposed workers to toxic mineral dust. For this reason, many patients with mesothelioma have legal options for obtaining financial compensation. Many companies with asbestos liabilities have set up special personal injury trust funds. Other companies negotiate settlements to avoid being taken to court. In some cases, asbestos lawsuits result in financial compensation awarded through a jury verdict. Patients should explore every type of financial assistance that may be available and shouldn’t let financial toxicity cause further hardship. University of Rochester Medical Center. (2018, Sep. 26). Researchers glimpse into 'real world' of cancer and financial hardship. Narang, A. & Nicholas, L. (2017, June). Out-of-Pocket Spending and Financial Burden Among Medicare Beneficiaries With Cancer.